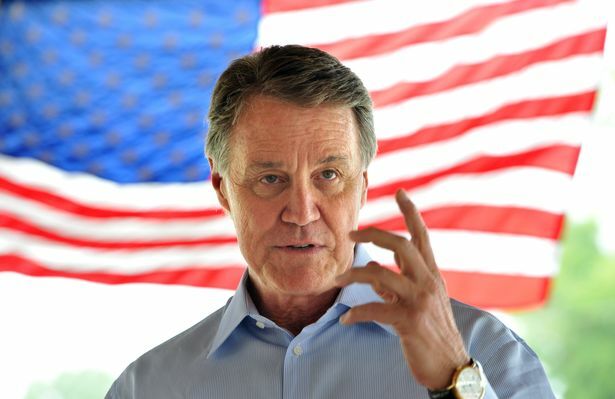 David Perdue a businessman has won a bitter runoff contest of nine weeks to become the Republican nominee for the Senate from Georgia besting U.S. Representative Jack Kingston. During a bruising campaign, 11-term congressman Kingston was painted by Perdue as an insider in Washington beholden to special interests in D.C., while Kingston hit back at Perdue as a political novice who was out of touch living behind the gates of a closed community. The Republicans finished one and two in the May 20 state primary election. However, neither one finished with the threshold of 50% to avoid the race going to a runoff. During the May 20 election, Perdue won more of the votes, but Kingston earned some major endorsements both inside and outside Georgia during the long runoff. The U.S. Chamber of Commerce was a big player in this race, as it backed Kingston and ridiculed Perdue in an 11th hour ad from crying similar to a baby over not receiving the endorsement of the group. In a late ad of his own, Perdue attempted to tie the congressman to the pro-amnesty stance of the Chamber on the comprehensive overhaul immigration bill. Perdue now has to face Michelle Nunn the Democrat in the November election. She is the daughter of a former senator in Georgia who was very popular. She also was the head at one time of the volunteer group Points of Light. Nunn has been funded very well and has enjoyed over two months of campaigning while the GOP has tussled with this runoff. That has helped Nunn to build a strong campaign. However, the state can be treacherous territory for Democrats, as no Democrat has won a statewide open race since 1998 in Georgia. It is expected to be a very tight race as Nunn will be facing Perdue with both not having Washington experience to fall back on during the campaign. As the campaign draws nearer to the election, it is likely that both candidates will get heavyweights from Washington to help in their campaigning.